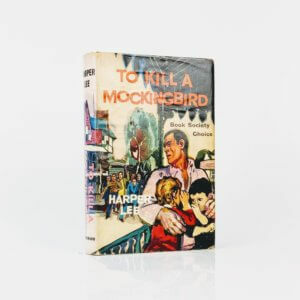 To Kill a Mockingbird By Harper Lee UK first edition, first impression (William Heinemann Ltd, 1960). Originally published in the United States earlier the same year. Trivial traces of pushing to spine ends with a couple of unobtrusive marks to boards; a touch of toning to edges, as usual. Contents pristine and completely free from any spotting, offsetting or inscriptions. 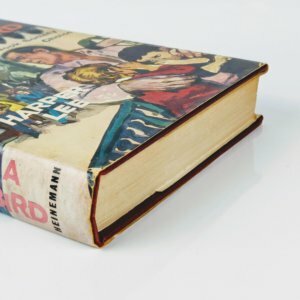 The original pictorial dust jacket is not price-clipped and has just occasional and light rubbing to extremities and corners with a couple of tiny chips; some toning to verso, mainly to folds and spine panel. An excellent, near fine example. Hard to find in such good condition.